560 pages | 330 B/W Illus. Engineers not only need to understand the basics of how fluid power components work, but they must also be able to design these components into systems and analyze or model fluid power systems and circuits. There has long been a need for a comprehensive text on fluid power systems, written from an engineering perspective, which is suitable for an undergraduate-level course in fluid power. 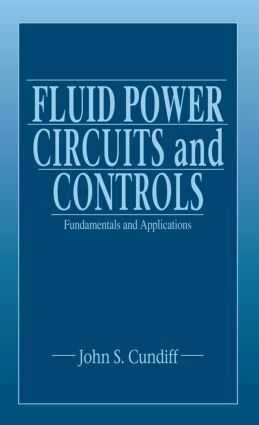 Fluid Power Circuits and Controls: Fundamentals and Applications encourages students to think of the collection of components as a system. The author illustrates each concept with a circuit diagram, and as each component is discussed, immediately places it in a circuit and analyzes its performance. This approach allows students to immediately apply what they have learned and encourages them to think about how the component operating characteristics interact with the rest of the circuit. The text is richly illustrated, filled with fully worked example problems, and reinforced with exercises in each chapter. Fluid Power Circuits and Controls offers valuable design experience and the background its readers need to approach real-world fluid power problems with confidence.